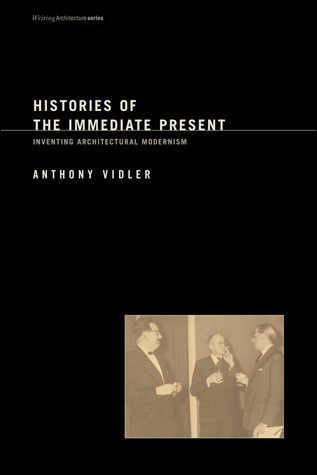 Anthony Vidler received his professional degree in architecture from Cambridge University in England, and his doctorate in History and Theory from the University of Technology, Delft, the Netherlands. Dean Vidler was a member of the Princeton University School of Architecture faculty from 1965–93, serving as the William R. Kenan Jr. Chair of Architecture, the Chair of the Ph.D. Committee, and Director of the Program in European Cultural Studies. 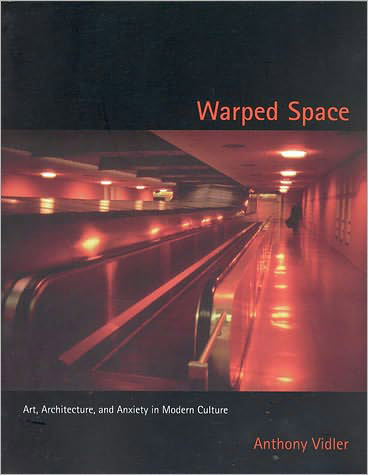 In 1993 he took up a position as professor and Chair of the Department of Art History at UCLA, with a joint appointment in the School of Architecture from 1997. Dean Vidler was appointed Acting Dean of the Irwin S. Chanin School of Architecture of The Cooper Union in 2001, and Dean of the School in 2002. A historian and critic of modern and contemporary architecture, specializing in French architecture from the Enlightenment to the present, he has consistently taught courses in design and history and theory and continues to teach a wide variety of courses at The Cooper Union. He stepped down from the Deanship in 2013. As designer and curator he installed the permanent exhibition of the work of Claude-Nicolas Ledoux in the Royal Salt Works of Arc-et-Senans in Franche-Comté, France, as well as curating the exhibition, “Ledoux et les Lumières” at Arc-et-Senans for the European year of Enlightenment. 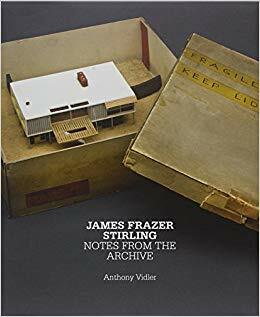 In 2004 he was asked to curate the portion of the exhibition “Out of the Box” dedicated to James Stirling, for the Canadian Center of Architecture, Montreal, and in 2010 installed the exhibition “Notes from the Archive: James Frazer Stirling,” in the Yale Centre for British Art, an exhibition that then travelled to the Tate Britain and the Staatsgalerie, Stuttgart in 2011. He has received awards from the Guggenheim Foundation, the National Endowment for the Humanities; he was a Getty Scholar, at the Getty Center for the History of Art and the Humanities in 1992–93 and a Senior Mellon Fellow at the Canadian Centre of Architecture, Montreal, in 2005. 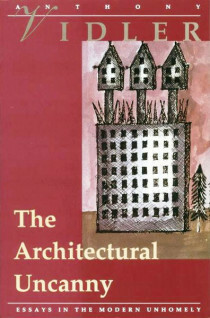 His publications include The Writing of the Walls: Architectural Theory in the Late Enlightenment (Princeton Architectural Press, 1987), Claude-Nicolas Ledoux: Architecture and Social Reform at the End of the Ancien Regime (MIT Press, 1990) which received the Henry-Russell Hitchcock Award from the Society of Architectural Historians, The Architectural Uncanny: Essays in the Modern Unhomely (MIT Press, 1992), Warped Space: Architecture and Anxiety in Modern Culture (MIT Press, 2000), Histories of the Immediate Present: The Invention of Architectural Modernism (MIT Press, 2008), James Frazer Stirling: Notes from the Archive (Yale University Press, 2010), and The Scenes of the Street and other Essays (Monacelli Press, 2011). 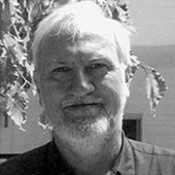 He is a Fellow of the American Academy of Arts and Sciences, and received the architecture award from the American Academy of Arts and Letters in 2011. 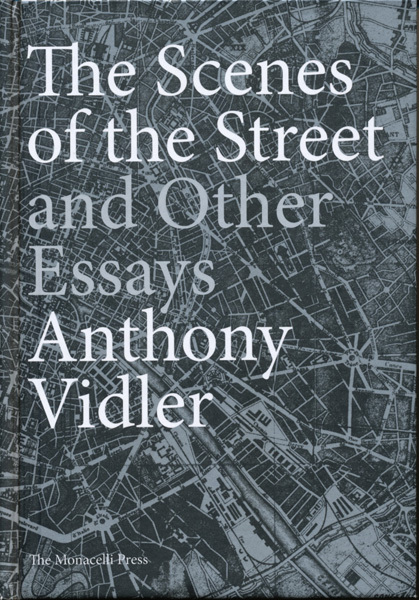 To view Anthony Vidler's full CV, click here.